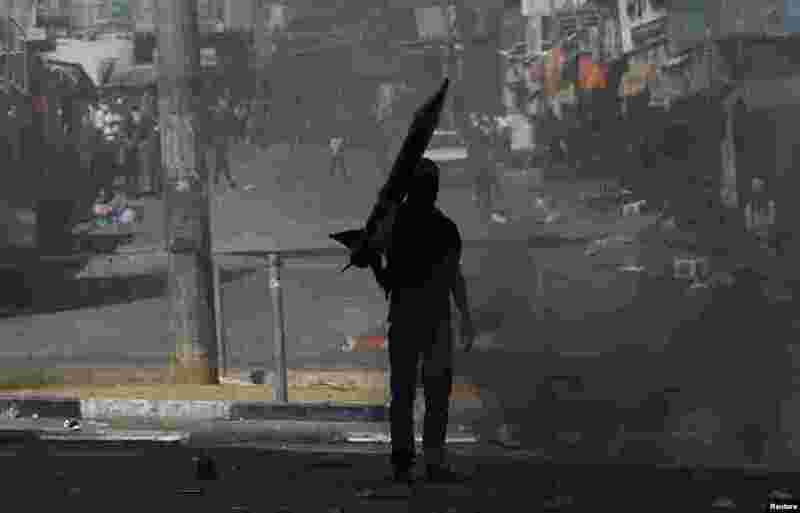 1 A protester holds a mock rocket during a demonstration against the Israeli offensive in Gaza, in the West Bank city of Hebron, Aug. 22, 2014. 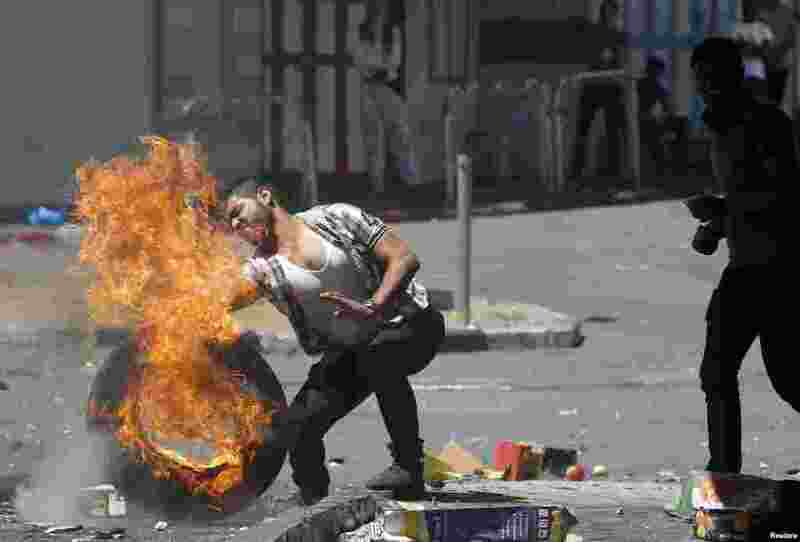 2 A man pushes a burning tire during a protest in Hebron, Aug. 22, 2014. 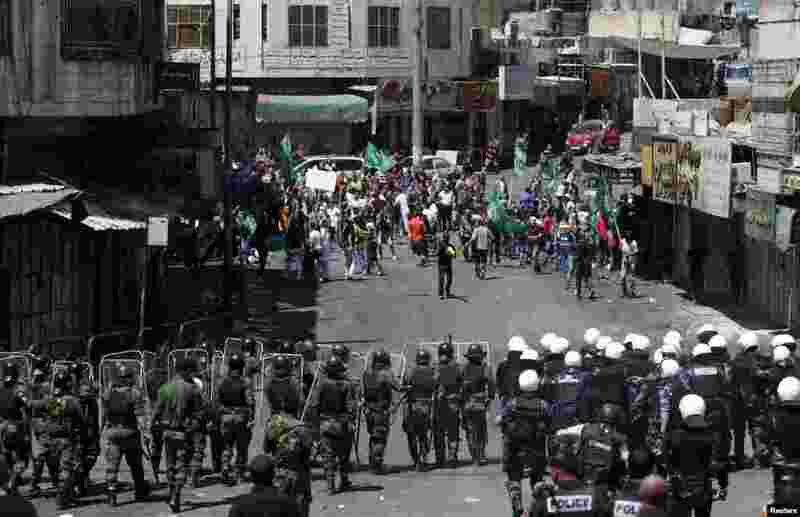 3 Members of Palestinian security forces try to stop the Palestinian protesters from clashing with Israeli troops during a demonstration against the Israeli offensive in Gaza, in the West Bank city of Hebron, Aug. 22, 2014. 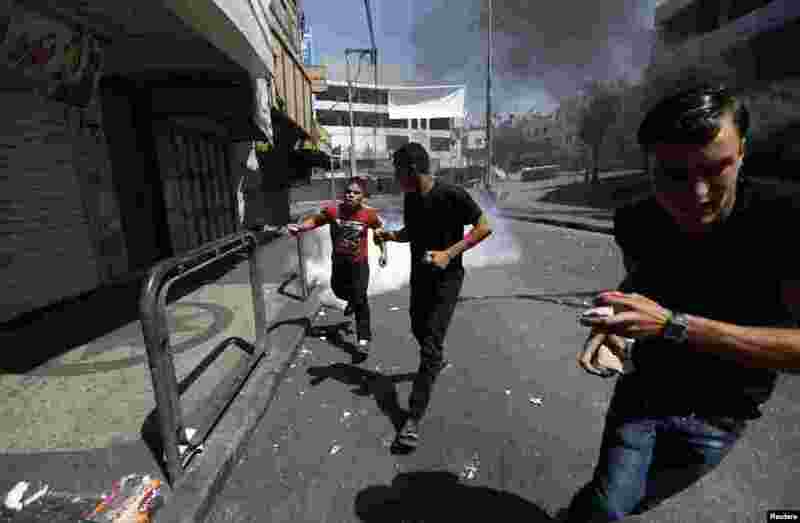 4 Protesters run from tear gas fired by Palestinian riot police in Hebron, Aug. 22, 2014.